Each month we have a Youth Mass to celebrate the gifts and talents our young people have. Children are invited to take part in the running of the Mass ie: Reading, Money Collecting, Altar Serving, Offertory, welcoming ect. The Youth Mass helps the children understand the Mass on a deeper level and take ownership of their church and their faith. 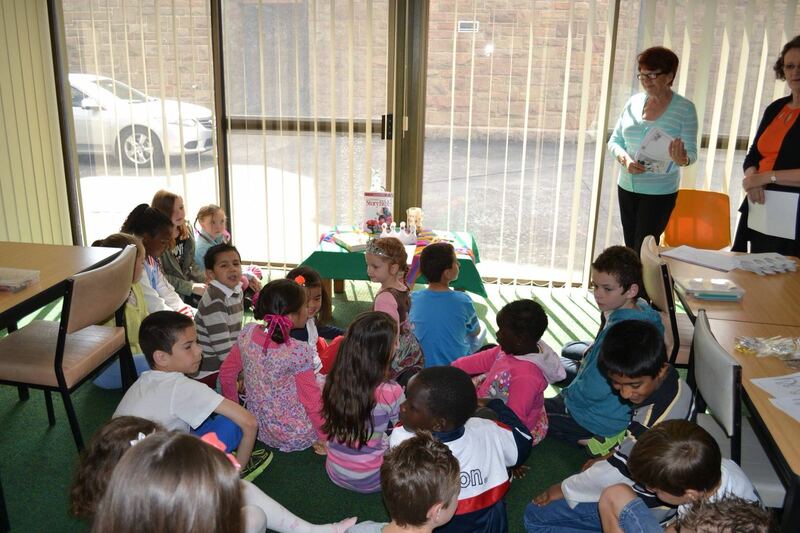 We hold a fun training session one Thursday a month for children to meet and learn the ministries. we always share some food and laughs in the Hall. We hold a training session one Thursday a month for children to meet and learn the ministries. Huge thanks for all the support we received for our Sausage Sizzle, and the Hot Cross Buns Drive. 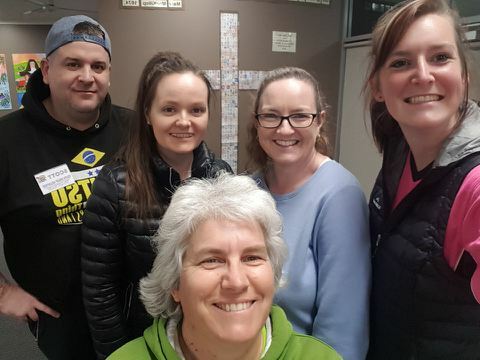 So far we’ve raised $283 from the sausage sizzle and around $600 for the Hot Cross Bun Drive - thanks for your orders, donations and cheerful support. Hot Cross Buns will be ready for pick up from the Mary MacKillop Room on Tuesday 9th April 1:00-3:00pm. Please remember to pick yours up! Coming soon –A Chocolate Drive to help support our Youth; don’t miss out on this one! The Office ladies are very excited! All involved in our Youth Ministry wish you all a happy, holy and safe Easter time. 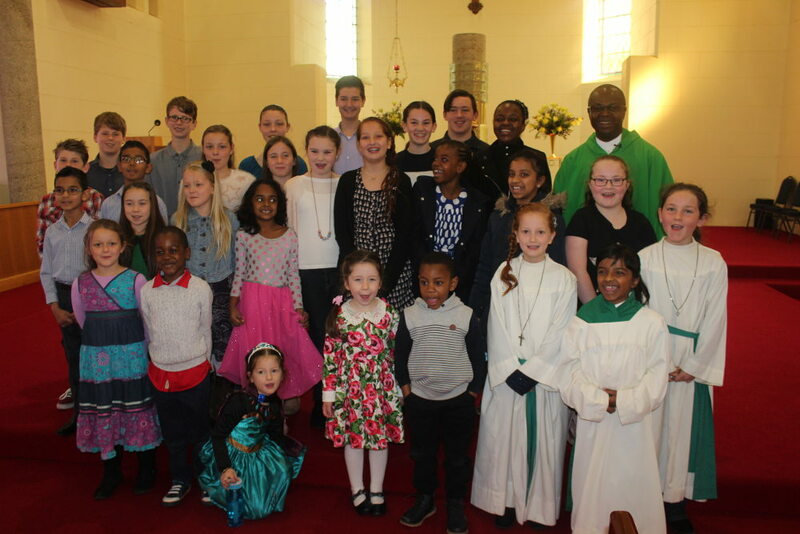 As a wonderful addition to the growing and blossoming youth ministry of St Michael’s parish, a Junior Children’s Choir will be trained to provide music at an occasional Mass on the second Sunday of the Month at 9:30am. Mrs Jane Mitchell will be directing the choir and children from grade 3 and over are welcomed to participate. The first Junior Choir Mass will be on Sunday February 10. Though practices will likely occur on the Wednesday prior to the Mass, this first practice will be held on Thursday February 7 from 4pm-4:45pm in the church. 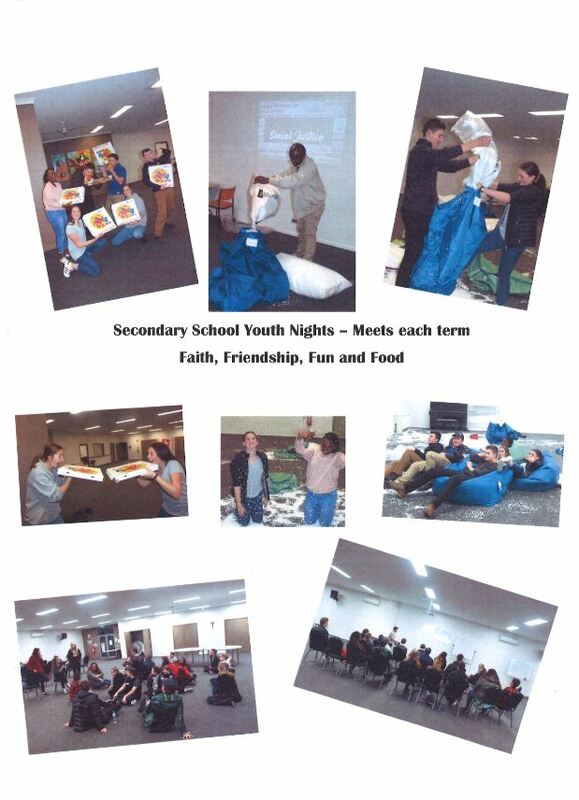 Next gathering is on Friday May 3rd.This group is open to young people in Yr 5 to lower secondary years. SWEET SENSATIONS GAMES NIGHT. Games for those with a sweet tooth! Dessert shakes for supper!! St Michael’s Mary MacKillop Hall, 6:30-8:30pm, cost $3.00, plus bring a lucky bottle/jar –fill with lollies, trinkets, something nice. Please call the parish office on 5174 2060 for more information. We have had a fantastic year at SMY@L! Congratulations to all of the youth involved in our Social Justice activities for 2018. 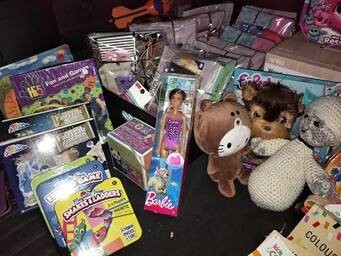 We have donated food to Vinnies, made up 80 shoeboxes for Operation Christmas Child and donated a huge pile of toys for the Toyrun, which is distributed locally by Vinnies. 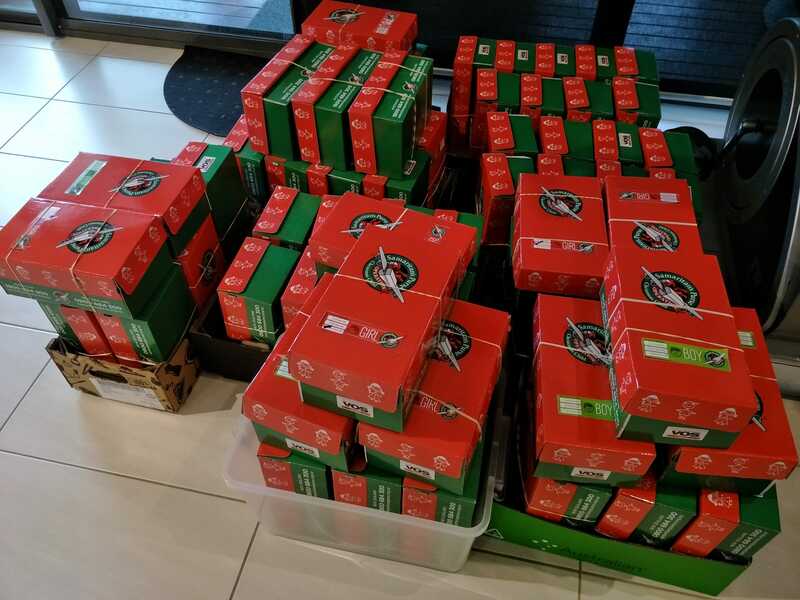 We are excited to say that some of our shoeboxes have made their way to the Philippines this year! Thank you to all Parishioners and families that help us out along the way, your contributions and support has been amazing! Thanks to the locals that have supported us also, including, Jump n Climb, Momo, Croquet club, Pax Hill tennis club, Gavin (disco) and Lavalla college. Many thanks to Fr Francis and staff and our great team of Youth Leaders. We wish everyone many blessings for Christmas and look forward to an exciting 2019 when we celebrate 20 years of St.Michael’s Youth group! The operation had a great kick-off on Friday 7th September. It was a great night with fun and laughter. Watch this space for more information! 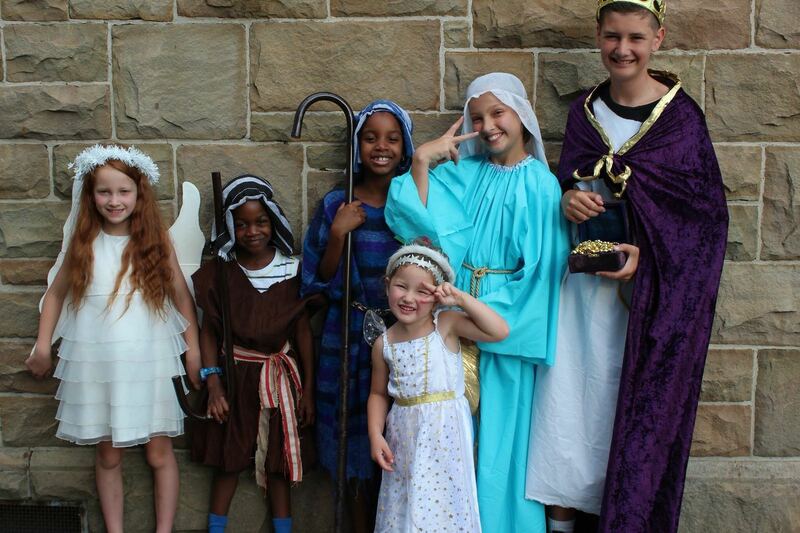 Who we are - St.Michael’s Youth group has been run in the Parish since 2000. It is the longest running Parish group just for youth. It is a great way for young people to be involved in the Parish community. It is for all young people from Year 5, 6 & lower secondary levels (from any school). The group is called SMY@L – St.Michael’s Youth at Latitude 38-11-41. 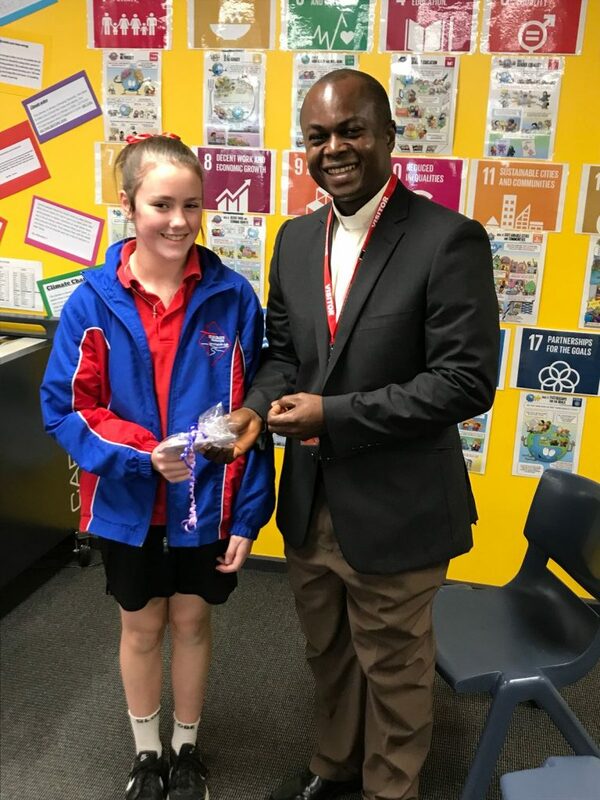 We meet at St.Michael’s Mackillop Hall a few times during school terms on a Friday night and run a variety of activities and events. We provide a safe and friendly environment where young people can get together with friends and make new ones, we are an inclusive group where everyone is welcome! Young people can begin to feel a sense of belonging when they regularly attend youth group and get to know other people in a setting other than school. It is also great in maintaining friendships across a variety of local schools. Our motto is fun, faith, friends! Current youth program details are located in the Church foyers. 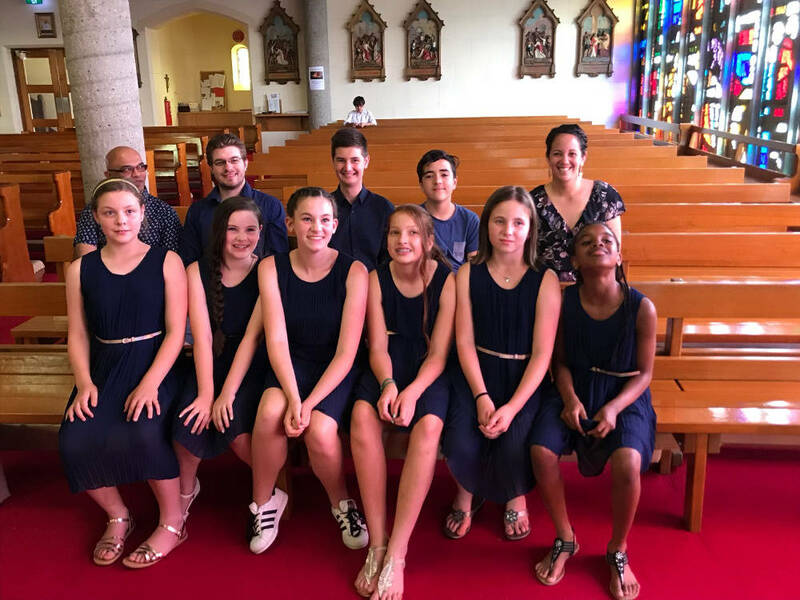 You will see our Youth Music Group at our Youth Mass and throughout the year at St Michael’s Church. It’s a fantastic group of kids that provide some beautiful music for our church. Any youth that are over grade 5 with a musical background are invited to get in touch with us. 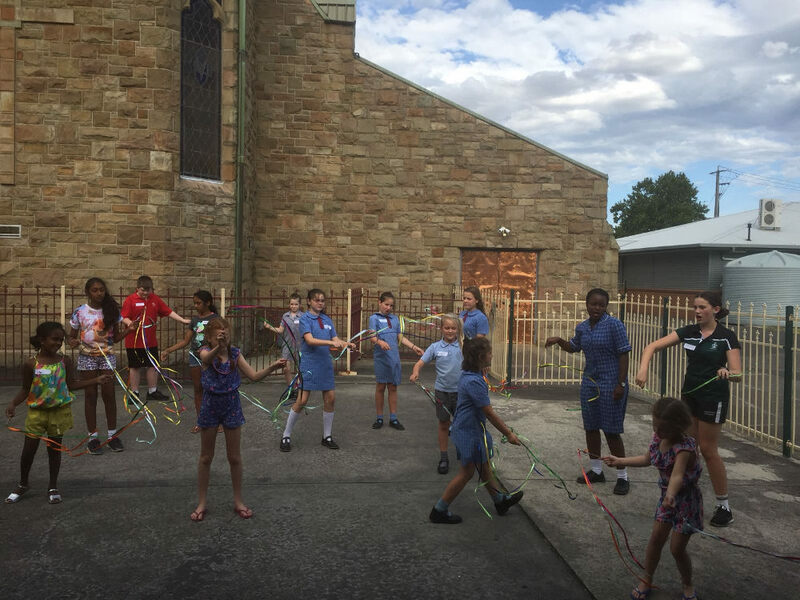 At St Michael’s Catholic Church we have a thriving Youth Ministry that caters for many different age groups. Our focus is providing a safe and fun environment for our young ones as they grow in Gods love and continue on their faith journey. For any further information please contact our Youth Office on 5174 7703 or contact our Youth Co-ordinater Jenifer Hanratty on 0437 49 23 49. Our Children’s Liturgy program caters for all Kinder and Primary School aged children during Sunday morning Mass at 9.30am. 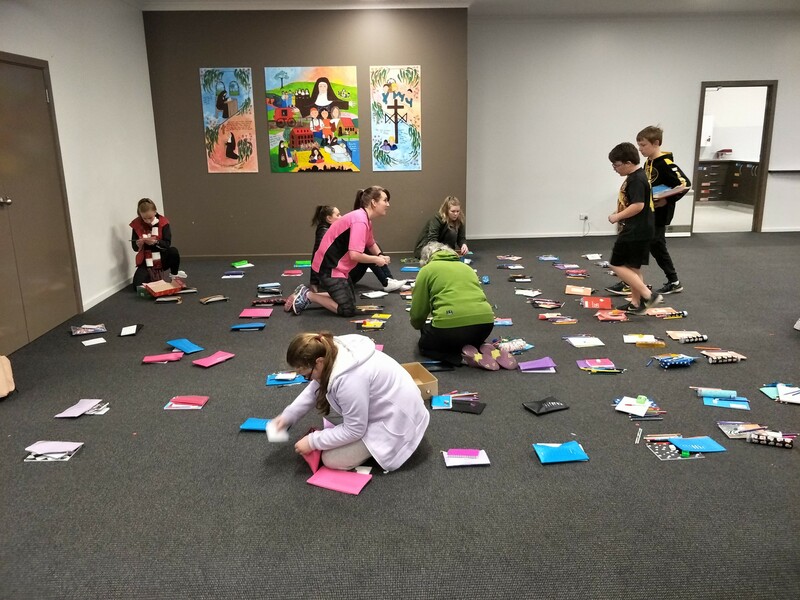 Children gather in the MacKillop room next to the church to explore the Gospel in a child friendly way and learn more about God’s love. All children welcome. All secondary school Youth invited to attend a fun night of food, fellowship and socialising. This is a safe environment for teens to be able to express their faith and explore what it mean to be a Catholic whilst having a enjoyable time with their peers. 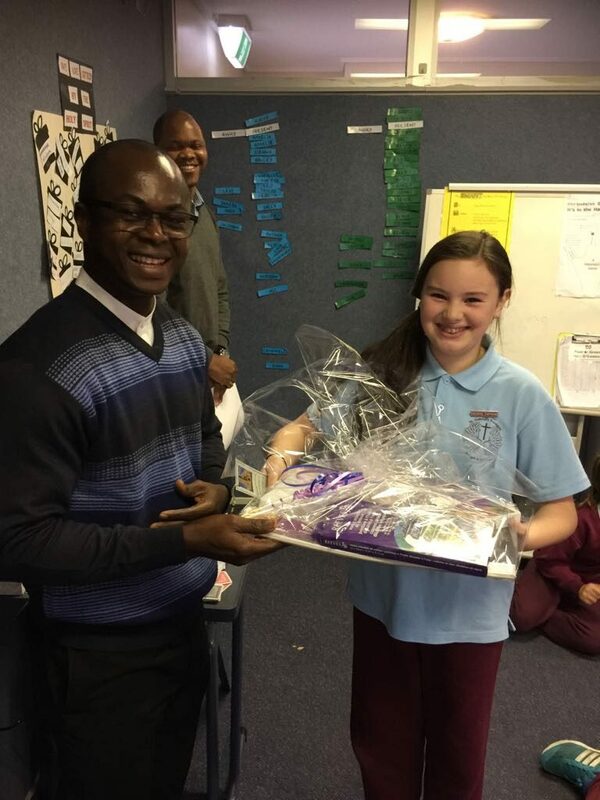 The PPC recently ran an Art Competition to celebrate the Year of Youth, the competition was open to Yr5 & 6 students. You may have noticed the entries on the back wall of the Church and also on the parish website. And. . . the winners are . . .
3rd Prize: Sienna Hill, St Gabriel’s’ PS. We certainly had a Mass with a difference last Sunday evening! 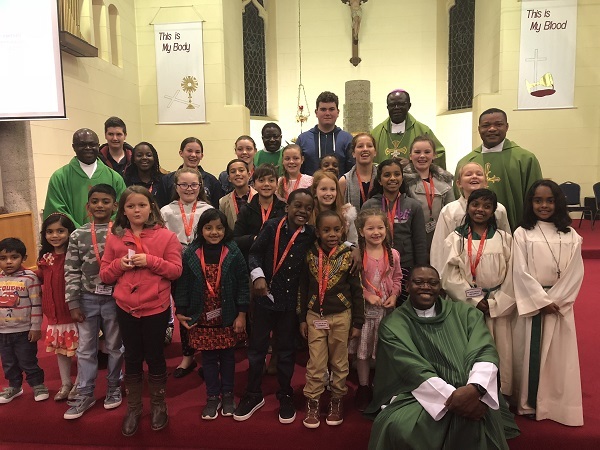 Our Youth Mass in which our young people took on the roles of Welcomers, Lectors, Altar Servers, Commentator, Musicians, Singers, Offertory Gift Bearers and Money Collectors with great reverence and style. 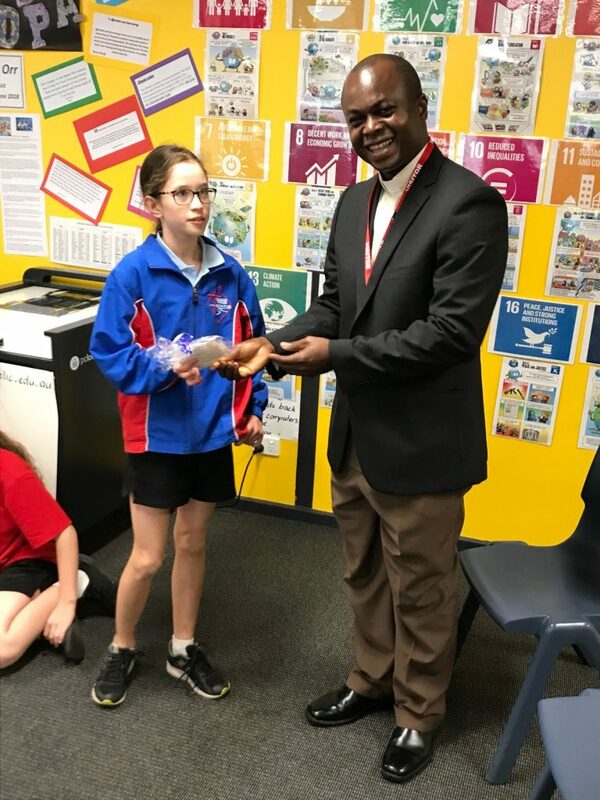 How fortunate we are to have members of the ‘future church’ learning with great enthusiasm and awe, and spending hours and hours practising to ensure that ‘their’ Mass is a respectful, reverent celebration of the Eucharist. As you can see from the photo, we were privileged to have Bishop Michael Apochi from the Diocese of Otukpo in Nigeria celebrate the Mass, he had alongside him four priests from the Diocese of Otukpo: our very own Fr Francis Otobo, Fr Edwin (Morwell), Fr Solomon (Sale), and Fr James (Canberra). Fr Joseph (Cranbourne) was unable to join in the celebration of the Mass here on Sunday evening. presence of these priests here in Australia, working among us. 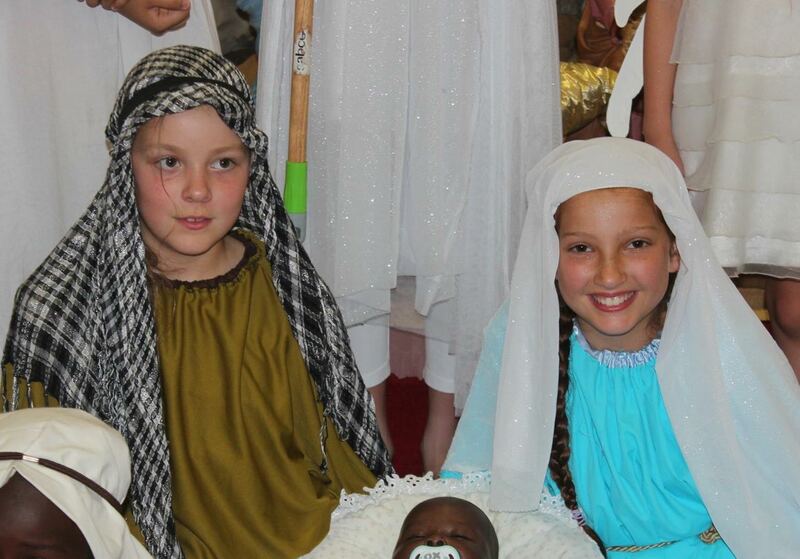 Every Christmas the children are invited to dress up and partake in the Christmas Eve Nativity Mass. Lots of fun for the whole family.